"We need to take it apart, learn how it works." No more trailers, just go watch this film! In theaters next month. 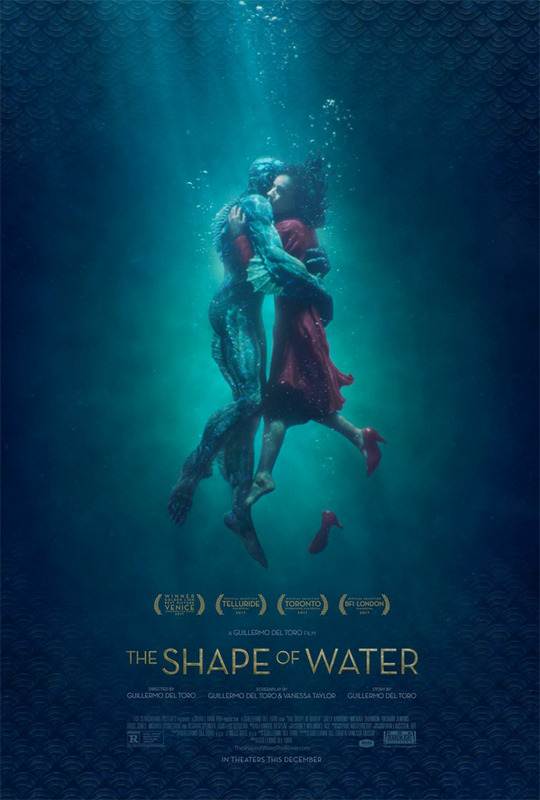 Fox Searchlight has debuted one more, final red band trailer for Guillermo del Toro's The Shape of Water, which won the Golden Lion top prize at the Venice Film Festival. This fairy tale romance set in the 1960s at a secret government laboratory stars Sally Hawkins as a lonely, mute woman who discovers a classified "experiment" and falls in love with him. Doug Jones co-stars. The excellent ensemble cast also includes Michael Shannon, Michael Stuhlbarg, Octavia Spencer, Richard Jenkins, Lauren Lee Smith, and John Kapelos. This film was my favorite of the Venice Film Festival, and has been getting rave reviews from critics everywhere. This trailer reveals a lot, so only watch if you still aren't sold on it yet.